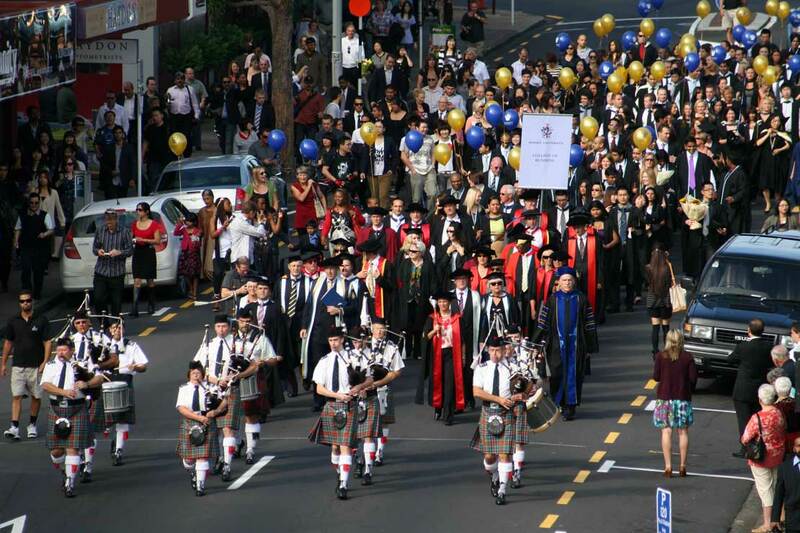 Its uni graduation time in Auckland. There are black gowns everywhere. Students looking like they are by no means ready to enter the labour market are celebrating their uni degree by dressing up in a long black gown and a cap and parading through the mains streets of Auckland. NZ is a lucky country. Basically everybody who wants to, can go to university. Yes you’ll build up a debt, but unemployment in NZ is pretty low, so you can pay that off pretty quickly afterwards. There are degrees in all sorts of areas that would not necessarily have been seen as academic years ago and are still not in most European countries. It doesn’t mean the skill learned is not valuable. It maybe should just not be a uni degree nor should it follow the academic traditions like the formal graduations. The only reason it does is because tradition is just applied : we’ve always done it this way. For some reason NZ likes their education traditions. Take all the incredibly ‘important’ school gala’s, where girls are expected to basically dress as if they are getting married, with all hairdo, nail polish and expensive limousine transfers bells and whistles attached. The amount of grief and unnecessary expense it causes! Becaue if you’re not there dressed as a princess, you are ‘missing out’. And this is not only at the last year of high school, there are at least 3 years you have to go. The other week somebody told me there was a formal graduation ceremony they had to attend from day care with presents and all. Really? I can see this is my practical down to earth Dutch mind at work here. The mind that questions traditions for traditions sake, all having to dress in the same uniform (and paying big bucks for it too) because heaven forbid individual expressions amongst a group and yes, mandated unnecessary expenses too. I am very happy for all of them that they have passed their exams. Education is fantastic and achievements should be celebrated. But do they really have to be so traditional, so regulated and so costly and commercial? Go celebrate, do it your way and not because others tell you to put on that outworn gradation gown again. This entry was posted in Uncategorized and tagged Auckland, dutch, graduation, nz, traditions. Bookmark the permalink.